Suitable for wall-to-wall carpets, rugs and upholstery made of synthetic fibres (polyamide, polyacrylic, polyester, etc.) and natural fibres (wool, cotton, sisal, etc.). 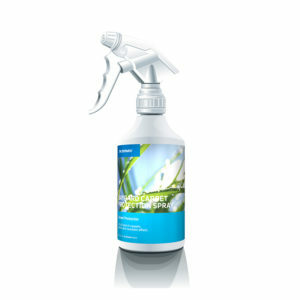 Also suitable for smooth and rough surfaced leather seats and furniture. 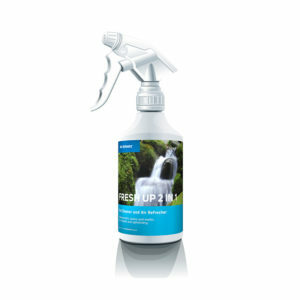 For use at home as well as in the car, boat or caravan. Shake before use, then spray evenly at a distance of approx. 25 cm onto clean and dry surface. Continue spraying until the impregnated material feels slightly damp to the touch. Apply twice to the carpets and rugs in heavily used areas such as hallways. Allow surface to dry for at least four hours before using. Ideally, overnight. Shake before use, spray evenly at a distance of approx. 25 cm onto clean and dry surface. Continue spraying until surface feels slightly damp to the touch. Apply once more to seating areas. The effect is increased by repeated application. Allow surface to dry for at least four hours before using. Always use door or entrance mats to keep maintenance and reapplications to a minimum. Before use, test for material suitability and colour-fastness in an inconspicuous area or on spare material. Any sensitive (e.g., varnished) surfaces should be covered before use. Ensure that there is sufficient ventilation during and after use of Stain Guard. Where there is insufficient ventilation, wear respiratory protection. Do not inhale product vapours. Contact with hot liquids or those containing solvents, longer-standing stains, the remains of cleaning agents and anti-static treatments and extreme use can reduce the effectiveness of the product. 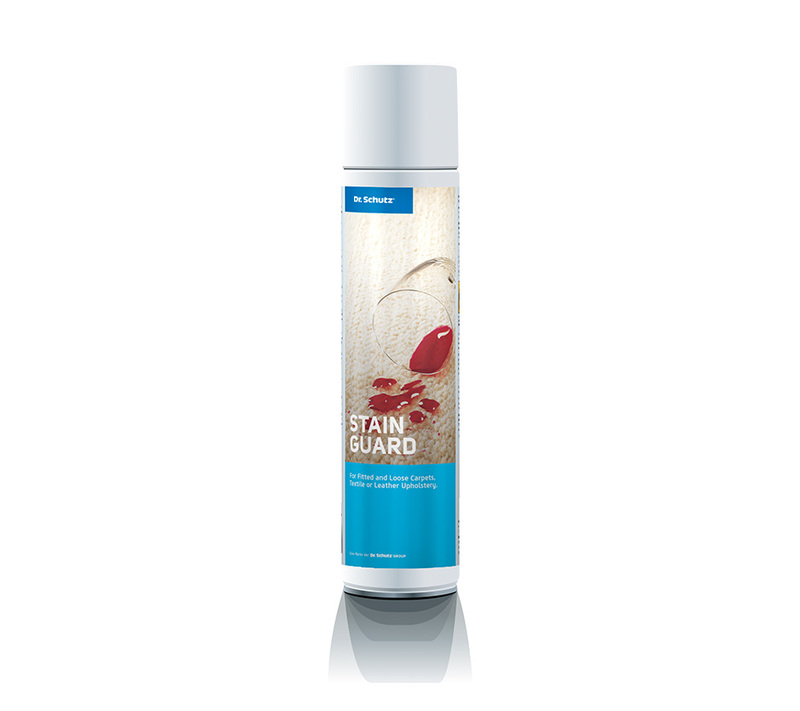 After damp cleaning or stain removal treatments, reapply Stain Guard.